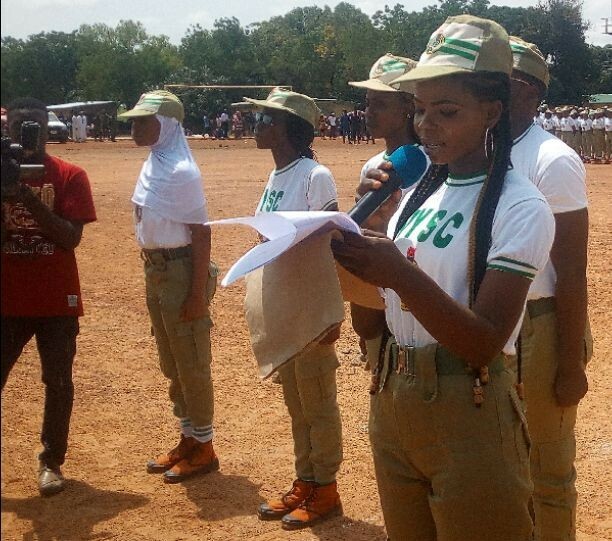 Undoubtedly, National Youth Service Corps (NYSC) is the largest youth mobilising organisation in Nigeria with about three hundred thousand young graduates passing through it on yearly basis. This make the scheme the best messenger when it comes to relaying national information to every nook and cranny of the land Nigeria. Year in year out, members of NYSC are deployed to the 36 states and federal capital territory and posted to all communities for a one year mandatory service to motherland, usually as teachers in public schools which give them the opportunity to effect many lives within that period. This is why as part of activities to mark this year’s World AIDS Day, the United Nations Children Fund, (UNICEF) in partnership with Kaduna State AIDS Control Agency, (KADSACA) dim it fit to flagged off a sensitisation campaign tagged: #IsabiHIV at Black Gold permanent orientation camp located at kilometres 16, Kaduna-Abuja highway. Already, UNICEF has assisted 700,000 Kaduna youths with HIV/AID information which has helped a good number of them to know their HIV/AIDS status, HIV/AIDS Specialist, UNICEF Field Office Kaduna, Dr. Idris Baba, disclosed. According to him, activities for this year’s commemoration would be observed in rural communities where intervention on Adolescents and Young Persons, (AYPs) programme is being carried out in seven Local Government Areas of Jaba, Jema’a, Lere, Kagarko, Birnin Gwari, Igabi and Chikun, where people might not have access to the kind of information as obtained in urban centres to ensure they are also carried along. In view of the above, there are twelve HIV testing sites at the NYSC camp ground coordinated by UNICEF Local Government Team (LGT) from Chikun – with about 468 AYP Volunteers (ages 14 – 25) working hard in their respective communities together with UNICEF LGT to create awareness and provide testing and counseling services to AYPs in the seven LGAs. Dr. Baba explained that UNICEF would also engaged Corp members, and already has a national campaign of HIV branded; #IsabiHIV at the NYSC camp and would from there, moved into the communities. “We are actually kick-starting from the camp and we hope that the campaign would create the necessary hype required so that people are better informed about what is happening on World AIDS day, as well availed them the opportunity to know their HIV status,” he opined. Dr Idris noted that, the population of Kaduna state in terms of number is large, so for every point dropped in percentage for the state means a lot for the country, especially Kaduna being the 3rd most populous state in Nigeria noting that, any change in trajectory in the state would mean changing the trajectory for the country. On his part, Executive Secretary, KADSACA, Dr. Mark Anthony said, Kaduna state has a cause to celebrate this year’s World AIDS day, quickly added that, it was not yet Uhuru, as the target is to attain zero infection by 2030. According to him, this year’s theme, “Know Your HIV Status” will lead to the increase of coverage of those that know their status from the current 34 percent to 90 percent by 2030 in the state. To make that happen, the KADSACA boss said, services were being provided, and commodities for testing were available. But people should first know their HIV status, adding that treatment which is the bedrock of prevention would follow as the drugs were effective. He said that the AYPs are the target group by government to access the services, hence the involvement of Corp members saying, UNICEF has been the bedrock of support to the programme. Coordinator of NYSC in the state, Hajiya Walida Siddique Isa, assured of the scheme’s cooperation to partner KADSACA for the project to make it a huge success. Speaking through the Camp Director and Assistant Public Relations Officer, Mr. Sam Nkwopara, Walida said the whole camp was already awash with #IsabiHIV campaign which the participating corps member would take along to their respective places of primary assignment after the orientation course. A 27-year-old male corps member who preferred anonymity who had just been tested said, “to an extent I’m aware of the #IsabiHIV Campaign meant to enlighten people more on HIV, the mode of transmission and how one could prevent it. “That is why when I came for this test, I also invited my roommates and they are all here. After the test they too were very excited. For me I am so happy after knowing my status,” he said. Also, a 21-year-old female beneficiary, disclosed that she got tested on Thursday and as at the time of speaking to the media, her joy knows no bound because she could now confirm her status. “To the young people, I would want them to get tested to know their status because it is better to know one’s status so that in case of anything you could do something about it immediately. HIV is real so let everyone get tested. She said, “initially, I was very scared but immediately after the test, I became very happy. I have called my other friends to come and experience what I have seen because I am very happy. Though the HIV/AIDS prevalence has drastically reduced among adults and old people, but it is on the rise among the adolescents and young persons the development that worry stakeholders including UNICEF ad KADSACA. All hands must be on deck to ensure zero prevalence by the year 2030 which was why inclusion of organisation like NYSC is germane.